A small change in the body sometimes can be the warning sign of cancer! These symptoms may not be that obvious. And, some of these trivial symptoms can even be ambiguously dangerous. Most often we do not pay heed to these warning signs of cancer until it develops to a stage where it cannot be treated. Cancer symptoms can be many, depending on where it has developed and at what stage it is now. Though it's hard to distinguish between the cancer pain and normal aches, it’s really not impossible. I will explain to you certain early warning of cancer that you should be aware of. Here we go…. An unexplained weight loss can be the earliest signs of cancer! According to the American Cancer Society, about 80% of the Americans suffering from esophageal and stomach cancers suffer from unexplained weight loss. The normal cells of your body get deprived of the necessary nutrients they need by the cancer cells. And this weight loss does not have any relation to what you are eating! So, if you are not making efforts to slim down and are still losing weight then you must consider consulting a doctor. While short-term diarrhea is a common thing that is caused because of bacteria, virus, and sensitivity to certain food items, they may be a warning sign for cancer if it persists longer. In a similar way sign like constipation, fewer than three bowel movements, and dry stool if persists for a week is not fatal. But, if it exceeds that time you need to be diagnosed! If the bladder changes last longer then you must consult a doctor! Other than that if you are getting a bloody stool, there’s a need to get yourself diagnosed. Red and dark colored stool can also be the warning sign for cancer. Apart from that cancer symptoms may also include pain while urinating or getting bloody urine. It may be because of an enlarged prostate or a urinary tract infection, it can also be a warning sign for cancer. In that case, consult your doctor as soon as possible. Any kind of infection and it can cause Fever! Your body temperature can go a little higher if you are suffering from any viral or bacterial infection and also some medicines can cause your body temperature to go a little higher. Fever is not a very common symptom of cancer, but most cancer patients suffer from higLeukemiah body temperature and particularly if their immune system has been impacted. Lymphoma and Leukemia are two forms of cancers that will cause a rise in your body temperature. However, doctor’s have not been able to find why that happens! If over a several days fever is coming and going and is also causing sweat during the night then it may be because of cancer. Go and see a doctor. If you are suffering from persistent fever and unexplained fever with the feeling of fatigue and weight loss then it may be a warning sign for cancer. You need to see your doctor then! If its flu and cold season, coughing persistently may be a normal thing! But, the case might be different if it’s not accompanied by usual sneezing, fever, stuffy nose, then it might be a warning sign for cancer. Go and get yourself checked! If you have already tried everything for curing hoarseness and cough and it still is not cured, go and consult a doctor. It can be a sign of lung cancer, which is one of the most persistent death causing cancer in the USA. A bleeding cough can also be a warning sign for cancer! Apart from that, any voice changes that persist for more than two weeks or that causes difficulty in swallowing and pain in the throat may also be because of cancer cells in the body. Pain is the response to any kind of deformation in the normal structure of your body! But, it is not an intriguingly dangerous symbol, if you are not able to figure out the real cause behind. Try out medications for your first aid box, and try stretches, but still, the pain persists, do consider visiting a doctor. It can be something as serious as cancer! These types of chronic pain can be a warning sign for cancer of different for according to the area in which the pain is being caused. Consult your doctor, if you have any of these symptoms for a long time! It can cause you to suffer in the long run. 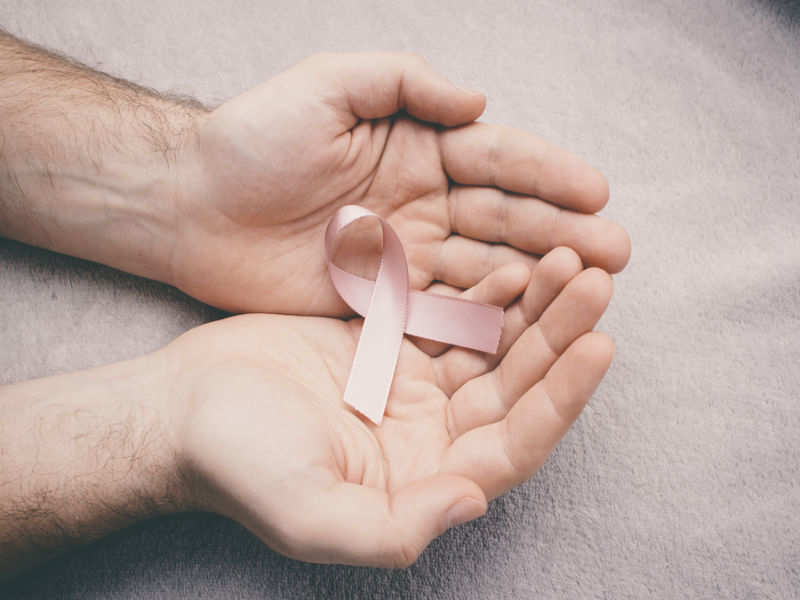 Not only the lumps in the breast area can be the symbol of breast cancer, but growth and bump that show up in the testicles can also be the warning sign for cancer. You should be all the time conscious and be checking your body for any types of lumps and deformations in the skin, testicles, and breast. Any kind of changes in shape, color, and size of the mole, freckle and wart can be the symbol of skin cancer. Apart from lumps, any type of red skin can be the symptoms of breast cancer! Make your doctor aware of any such changes as soon as possible. So, it’s a crucial consideration to keep changes in any changes in the body and regular functioning. An unusual response of your body and any kind of prolonged infection or physical pain, it persists for a longer period of time should be consulted by a doctor. Apart from the, it’s very important to maintain healthy body weight, abandon the smoking habit, and limit alcohol intake, if you want to reduce the risk of getting trapped by the dangerous cancerous cells.